Lonnie J. Halpern, Esq. Lonnie J. Halpern, Esq. Lonnie J. Halpern, a partner at A.Y. Strauss, concentrates his practice on representing clients in commercial real estate transactions, joint ventures and financings. With over 15 years of experience in commercial real estate and corporate transactions, Lonnie is a creative dealmaker well-versed at navigating even the most complicated transactions. Having spent much of his career practicing in-house, working on behalf of lenders, property owners and developers, Lonnie is recognized for his legal expertise, and his practical, business-focused approach to advising his clients. Lonnie also dedicates a significant portion of his practice to counseling early-stage/high-growth companies on initial organization, fundraising and general corporate matters. In particular, Lonnie has advised several startup companies focused on applying technology to commercial real estate investing and finance, including CrowdMason, one of the first real estate crowdfunding companies, which he founded. 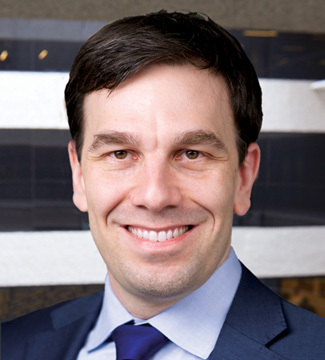 Prior to joining the firm, Lonnie served as vice president of BRT Realty Trust, a publicly-traded REIT focused on commercial bridge lending and joint-venture equity investing, as well as in-house counsel to a commercial real estate-focused New York family office. Lonnie began his career practicing law at the international law firm Goodwin Procter LLP and Hogan Lovells.